Write about something funny to give her a good laugh. Whether she moved away to another town or is simply studying abroad, you miss your best friend tremendously and you still want to communicate with her to stay close. 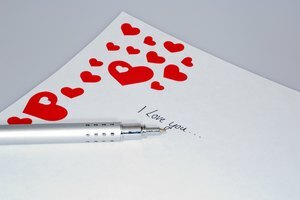 Besides emails or text messages, you can pen her a few letters every so often to keep in touch. 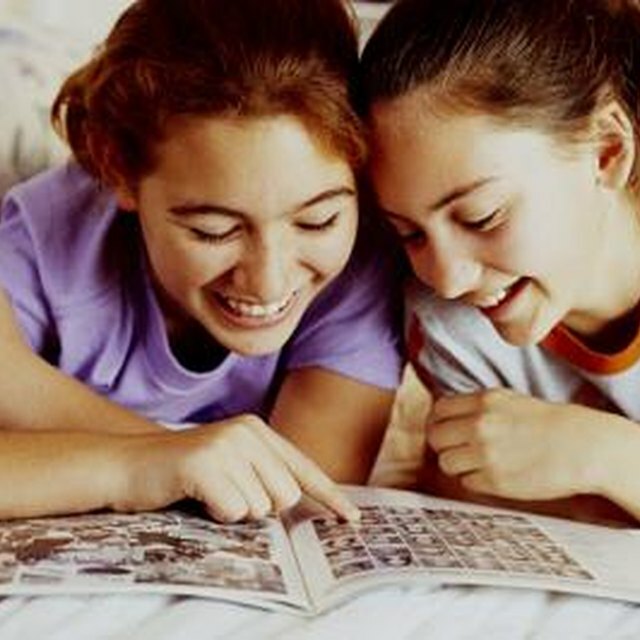 Include several types of interesting topics in the letters to keep your best friend looking forward to opening them. Keep your best friend informed on what is new in your life in your letters. Give her every detail as if you are chatting up a storm right beside her. Perhaps you can tell her all about the new guy you are currently dating or what color dress you plan to wear to the homecoming dance. Maybe let her know how your piano or karate lessons are coming along. If your friend is studying abroad, she may want to know what is happening locally. Tell her about how much snow you have been getting lately, the new restaurant in town or the scores of the local baseball games. Remind your friend of all the special times you shared together when he was in your presence to bring back memories. 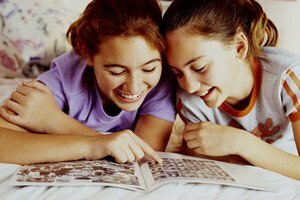 Write about embarrassing things you did together. Maybe you can remind him of the time you both dressed as reindeer for a holiday party one year. Also, write about the times he had your back when nobody else did. Thank him for being there to support you when your parents were going through a divorce or when your grandfather died. If you want your letter to have a sentimental tone, take the time to express the things you adore about your best friend. Think of the personality characteristics and traits that your best friend possesses and what makes her different from your other friends. Let her know just how special she is. Maybe you like the fact that she has a good sense of humor and can always make you laugh with the best jokes or has the best baking skills you ever witnessed to make the tastiest apple pie. Show off your humorous side to your best friend by including something funny in your letters. Fill the note with silly jokes to make your friend grin. Perhaps you saw a funny joke on TV or something hilarious happened in school that you can retell to your friend. Maybe you can write about the embarrassing moment you had on a date. Be as descriptive as possible so your best friend can visualize exactly what happened. Taylor, Wannikki. "Good Things to Write in Letters to Your Best Friend." Synonym, https://classroom.synonym.com/good-things-write-letters-friend-15598.html. Accessed 20 April 2019.